Are you any match for an insect? Come find which insect best matches your unique maker skills and interests. Get your portrait taken with a giant print of your insect. Learn how technology is shedding light on the maker skills of the insect world. Here’s how you can be a part of the Big Insect Match Maker at Maker Faire. The Big Insect Match Maker is an interactive exhibit and collaboration with some of our favourite entomologists that we have worked with. We are always fascinated with the stories that each person has to tell about why they choose to study a particular insect or family. Usually, it is because the insect has some extremely unique and ingenious talent that warrants in-depth study. With Maker Faire being a place for all sorts of humans to display their talents, skills, and interests, we thought it only fitting to make some connections here between the insect world and maker community. This is the 10th year that GIGAmacro will be exhibiting. See our official description of this year’s project. This is what we plan to do, and we need your help! We take the input and stories from entomologists and describe the particular skills of their favourite insect. We then ask people to pick the skill set that best matches their own. And then the big reveal to discover which insect it is. Learn more and explore giant high-resolution images of each subject. For those who are up to it -the opportunity to have your portrait taken with a human size print of the insect match. We want to hear from you and what you study. Send us your suggestions and thoughts. We’ll even image your subject for free and send you a giant print of the subject when we are done. And of course, the exhibit isn’t limited to Makerfaire: we’ll post the interactive version on the web for you to share with your friends and colleagues. Click the image above to view the interactive version. Recently, I spent the day the UC Davis Bohart Museum, where I was training the team there how to use their Magnify2. I learned from Dr. Fran Keller all about the Viceroy which is well known to most (but not myself at the time) as a mimic of the Monarch butterfly. Its talent is in its genetics to almost perfectly disguise itself as the Monarch. Since the Monarch is poisonous to many animals, most avoid it. And so the Viceroy, which is not poisonous, is able to also avoid many common dangers by tricking other predators into believing that it is something else. Can you detect which is the Monarch and which is the Viceroy in the photo above? And could you do it BEFORE you clicked the image to get the answer? The type of Maker match: someone who loves costumes, magic, and illusions to create a disguise that can fool nearly everyone. Click the image above to view the interactive version. Photo credit, Doug Angus Lee. 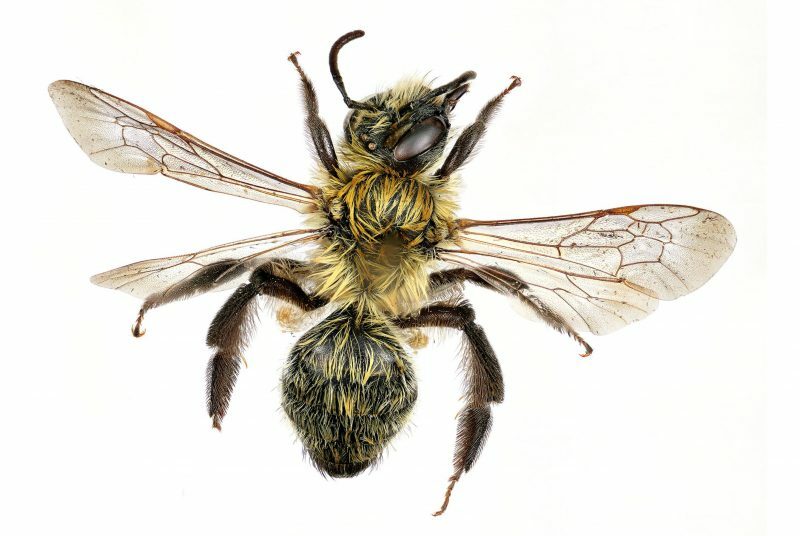 Just about everyone is familiar with the honey bee. They are well known for building masterpieces of geometric design. But most may not know about their peculiar dancing skills. The type of Maker match: someone who thrives in groups, can easily be angered, loves building, affinity for geometric design, and loves dancing. PreviousPrevious post:Using the GIGAmacro Viewer to Annotate Your Gigapan ImagesNextNext post:What’s Next for the GIGAmacro Viewer?